New edition of web application design workshops organized by the Efigence was launched. For the fourth time, people interested in starting a career in the front-end development will have the opportunity to develop their skills. This year, Ruby on Rails programming workshops were also launched. As every year, the best participants will have an internship at Efigence. The organization of Efigence Camps has already become our company tradition. We have a passionate and committed team that wants to share knowledge and help novice programmers develop. „From the first edition, the program was very popular. Until last year, we focused on front-end workshops. However, we have noticed a niche – there is a high demand for Ruby on Rails programmers on the market, while the group of specialists is relatively small. We use this technology every day, that’s why we decided to share our knowledge, supporting the development of Ruby on Rails programmers’ environment.” – explains Łukasz Wełniak. This year’s classes will take place from July 25 to August 30. The best people will start their internship in October in the front-end or the Ruby on Rails department in Efigence. We want the most committed people who are eager to start a programming career to have the opportunity to use the acquired skills immediately while learning new things every day. „In our team, they can always count on help and tips on how to solve increasingly demanding tasks. 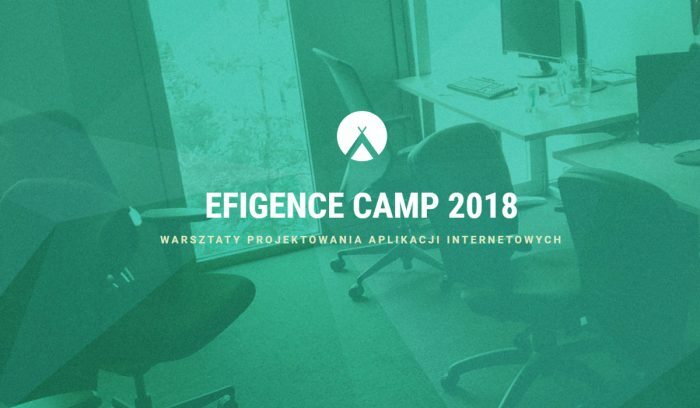 Previous interns were great at working in a new profession and several Efigence Camp graduates stayed with us permanently!” – adds Rafał Lisowski. So far, the program has been completed by over 150 novice programmers. This year, another 30 people will join them.